WIOCC is Africa’s carriers’ carrier. Operating exclusively as a wholesaler, it is revolutionising connectivity between a growing number of African countries and the rest of the world by delivering affordable and reliable, managed connectivity for high-performance internet access and data services. 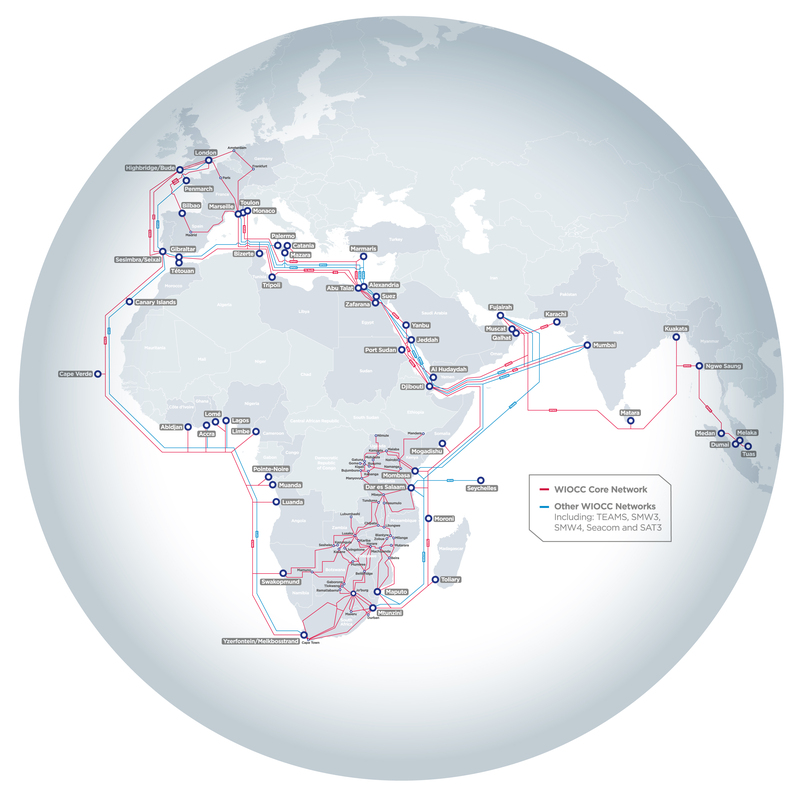 WIOCC owns a unique high-capacity fibre-optic ring around Africa and into Europe. It is the largest shareholder in the EASSy submarine cable – at >10Tbps the largest cable serving Africa – and has also made strategic investments in WACS and EIG, two high-capacity submarine cable systems linking Africa’s East and West coasts to Europe and the world. These investments enhance WIOCC’s existing ‘east+west’ coast African diversity’ offering, reinforcing WIOCC’s ability to offer carriers high levels of redundancy and deliver the promise of reliable, high-speed connectivity to/from Africa. WIOCC’s 14 telco shareholders’ and partners’ terrestrial fibre networks interconnect 30 African countries over more than 55,000km of optical fibre, serving 500+ locations. Internationally, WIOCC’s network reach extends to 100 cities in 29 countries in Europe and more than 700 cities in 70 countries globally. WIOCC offers carriers a one-stop-shop solution that delivers seamless connectivity to Africa, within Africa and from Africa to the rest of the world. EASSy is a 10,000km fibre-optic submarine cable system currently being laid along the east coast of Africa It runs from Sudan in the north to South Africa in the south, landing in a further 7 countries in between (Djibouti, Somalia, Kenya, Tanzania, The Comores, Madagascar and Mozambique. 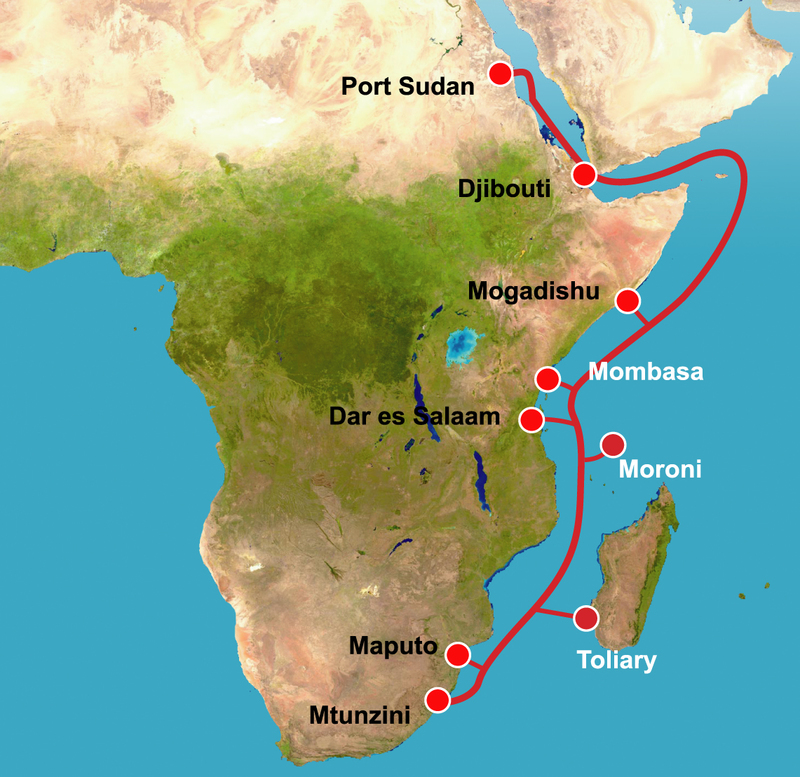 Not only is EASSy the largest submarine cable in Africa (capable of carrying around 12 million typical internet sessions), but it also interconnects with other international cable systems, uniquely providing direct connectivity between east Africa and Europe and the USA, as well as links to the Middle East and Asia.